Why Are Core Workouts Important? Core Workouts like P90X workout, Core Synergistics, are super important. Some described the body's core as the "tree trunk" of the human body. The core of the body consists of the area around the trunk and pelvis where the center of the body's gravity is located. It's important to have a strong core for good posture and spinal support. When the core muscles are strong we are less likely to experience back pain or injury during workouts, sports activities, or everyday movement (at home, work, or play). This area of my body is the area I long to see the greatest improvement. The specific exercises below are part of the Core Synergistics routine and focus on strengthening "the lumbar spin and trunk muscles which are the foundation for all the other muscles in the body". 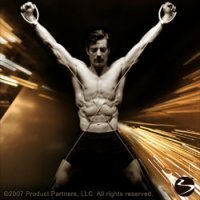 Core Synergistics is one of the P90X workouts that you will doing a recovery week. But don't be mislead. Just because it's during recovery week, doesn't mean it's going to be easy. Remember you're going to be working multiple muscle groups as you build and support the core (lumbar spine and trunk muscles) and condition your body. Some people find this workout to be fun and entertaining, ummm....not me (smile). It's hard work. But then again all of the P90X workouts are. You just have to get your mind right and do it. As Tony says, "Get out of your head about it." You will need some type of recovery drink after your workout. Don't be fooled by "recovery week workouts" as they are still intense.